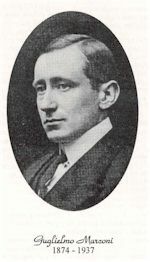 It's generally accepted that the last decades of the 19th century are when 'radio' or 'wireless' as a medium began to capture the interest of inventors and scientists and entrepreneurs, such as Mr Marconi from Milan, Italy. The 1890's are when the first 'sounds' of voice and music were transmitted and heard. Looking back, it's difficult to imagine a world without radio. Yet, it's relatively modern. My own parents grew up into their teenage years before the first regular music and radio programs were ever broadcast, and my grandparents were well into their middle ages before they could buy a radio set and listen to scratchy sounds from the 'wireless' in the lounge. So far, that we can even have a Radio Heritage Foundation and talk about nostalgia and era whilst entrepreneurs of today drool at the thought of sending stereo radio signals into mobile computers via, wait for it, wireless technology. Social historians, 'tidy' minded people and lots of plain ordinary folks like to organize events and things into a time line or a category to which they can attach labels. Such organized thinking is a challenge when sharing the stories of radio from around the Pacific. Databases and archives hate randomness, so we've also had to think of some labels for the bits of time that make up the first one hundred years of radio heritage. Here we go. Just click on any of these eras and you'll find yourself in a new part of the world of Pacific radio. You'll see a special icon for each era (coming in 2005). The 1890-1920 period is the accepted beginnings of radio in the Pacific, with Lord Ernest Rutherford known to have transmitted 'herzian' waves at Canterbury College in Christchurch, New Zealand as early as 1894, making him a contemporary of Marconi. He went on to split the atom rather than follow up his early radio experiments, otherwise New Zealand may well have been the home of radio, not Italy. Radio transmitters were introduced to ships, and began to spread across the Pacific to open up communications. In the 1900's, more people began tinkering with more bits of radio equipment. Morse telegraphy blossomed. During WWI, the power of 'wireless' became more apparent and valves were used for the first time. Returning soldiers brought back an enthusiasm to experiment, and the British, German and French governments (who controlled most of the core Pacific) worked hard to keep this new threat to their power under heavy wraps. From 1920-1940 is the birth of radio broadcasting as we would understand it today. Licenses to transmit were issued, music and voice were sent over the airwaves in Australia and New Zealand, with the 'colonies' following in a limited fashion over the next two decades. Commercial and state interests battled for control of radio, the latter generally supreme around the the core Pacific by the end of the 1930's. 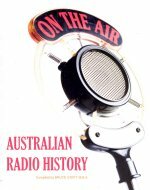 Radio stations created program schedules, introduced intensely popular 'soap opera' radio serials and quiz shows, and 'Empire' short wave broadcasts began linking the scattered dominions and colonies of the British Pacific. Radio personalities came into their own, sports and news broadcasts were introduced, and radio emerged as part of the social culture from the mid-1920's. At the same time as radio came into its own, talking movies and advertising agencies also began a national and global spread of common cultural icons of music, stars, products and services and radio was part of this glamorous world of 'entertainment'. Australia, New Zealand and China led the way in the western Pacific, with California dominating the radio world of the western Americas in the eastern Pacific. The art deco movement led to the creation of beautiful radio receivers as a consumer 'must have' and radio stations hired architects to build art deco inspired studios and office buildings. Radio and art reached a high point of collaboration along with major technological advances before it was all cut short by WWII which immediately affected the entire region from 1939. The 1940-1955 period was one of mixed messages. 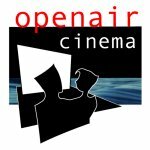 Many parts of the Pacific were directly involved in WWII, and radio played a major role ranging from the Coastwatchers of isolated islands, to broadcasting messages from captured POW's, to propaganda broadcasts from Tokyo Rose, to the destruction of many facilities across the Dutch East Indies and China.. 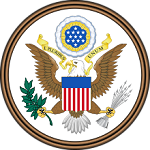 In the mid-1940's the first (American) Armed Forces Radio broadcasts began from snowbound Alaskan outposts on the edge of the Pacific, and spread rapidly throughout the whole region, and beyond to India on the fringes of the China-Burma-India theater of war. AFRS came to many islands and parts of the Pacific for the first time, then packed up and just moved on towards Tokyo, later migrating to Korea with the United Nations forces. 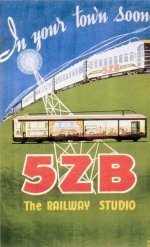 Japan rebuilt its radio networks and Indonesia became independent from the Netherlands, whilst something new called FM began to emerge in the USA and was being tested in Australia by the mid-50's. Between 1955-1970, radio entered into a second 'Golden Age', fuelled by technological advances such as the transistor radio, the spread of FM around the Pacific rim, the emergence of rock 'n' roll music with a new generation of 'baby boomer's growing up surrounded by radio, and TV was a relatively new form of entertainment still not dominating the living room. The Cold War spilled over into the region, with short wave broadcasts battling for hearts and minds from 'developed' countries, and increasingly from listeners in newly emerging and modernizing states who faced a choice of communism or capitalism and a flood of cheap short wave radios built in Japan.. 'Good Morning Vietnam' epitomized the role of radio in modern warfare. The Radio Hauraki pirates in New Zealand epitomized another clash, youth against the state as the 1960's drew to a close. New pop art emerged from California and London at the same time as Top 40 radio from KHJ Los Angeles and radio stations and listeners from Anchorage to Melbourne to Nagasaki to Honolulu to Auckland to Santiago revolutionized the airwaves. . The 1970-1990 period was one of growth for radio across the Pacific, at the same time accompanied by massive structural change. The concept of advertiser driven format radio spread from California to Australia and New Zealand, and to a lesser extent Japan, the Philippines and South Korea. 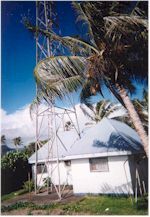 Private radio began to challenge state monopolies in island communities such as New Caledonia, Tahiti, Fiji, and other more 'developed' Pacific states. FM radio made an appearance along the dial in Australia and New Zealand and took control in Hawaii. Many island state radio monopolies let these new private stations stake out a claim to the new generation on FM. They wrongly believed listeners would always stay tuned to AM. Winds of competition had arrived. Television was dominant, and the personal home computer was just emerging in Seattle and around San Francisco's 'Silicon Valley' as a major challenge to how the new generation would be entertained and informed. The collapse of communism in Europe in the summer of 1989 ended the battle for short wave audiences in the Pacific and the push for democracy spread to the airwaves throughout Asia and Latin America on the Pacific rim..
Trading of stocks and shares in 'radio' and 'entertainment' companies reached a zenith before the 1987 stock market collapse led to rapid consolidation as bargains emerged. 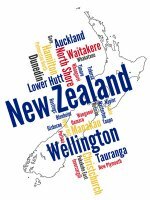 In New Zealand, state radio assets began the move into foreign and big business ownership, and across Australia and New Zealand, the quiet revolution also led to the birth of community radio, as ordinary people suddenly found a voice on the airwaves. From 1990-2005, the dominance of the computer has exploded across the newly 'wired' but largely wireless Pacific, bringing forth new technologies, new audiences, new ways of doing things, and an explosion in the number of radio stations on air as radio becomes 'cool' for today's youth..
Satellite delivery of audio streams and local re broadcasting with massive economies of scale has brought radio to nearly every small town across the Pacific. Larger chunks of broadcasting spectrum are in fewer hands, multinational advertiser driven 'infotainment' dominates airwaves from Lima to Dunedin to Darwin to Hong Kong to Vladivostok to Suva and Vancouver. Digital radio looms on the horizon, China has emerged as a consumer powerhouse, followed by India on the Pacific fringe, Both have rapidly expanding commercial FM radio networks. 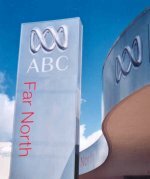 Radio Australia leases its short wave transmitters to religious broadcasters, who, in turn, have set the stage for a new battle for the hearts and minds of Pacific audiences as they use new technology to open hundreds of low powered FM stations and expand large AM networks in the region from the Philippines to Australia to Papua New Guinea to Vanuatu to Samoa to Chile, New Zealand and Hawaii. Digital radio is now currently making strong inroads in many countries where key analog AM and FM services are closing down. But digital transmission with more effective technology and superior sound quality will however continue to share the airwaves with those analog services for some years to come. This period is also witnessing the wholesale closure of shortwave broadcasts from once household shortwave names as more and more users retreat from the technology. 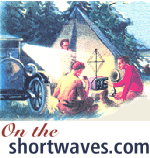 Even shortwave radio manufacturers are giving up and closing their shortwave divisions, while AM radio is also under severe threat leaving analog FM as the main remaining service in many countries. Wireless streaming over cheaper and increasingly widespread broadband to mainly mobile devices with built in FM receivers is the norm in many places. Even auto manufacturers are not always offering even analog FM receivers any more, preferring to rely on digital and wireless for delivery of radio services. 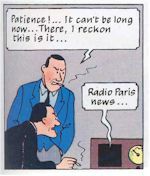 The first 100 years of radio as its been known looms, and some front runners will even celebrate their centenary during this period, we've turned full circle to return to wireless, although it's not the same wireless as it's been known. The world is connected in ways the radio pioneers of 1920 would find both familiar and yet, unfamiliar.